I am sure you know what dark eye circles means, right? If you do not know what it is, please continue to read. Dark eye circles are caused by several factors. For most people, dark circles are results of a lack in sleep. When a person lacks sleep, the skin becomes paler than usual giving other body parts with many nerves and blood vessels a bluish and darker tone. Dark eye circles can also be caused by dehydration and iron deficiency. If your mother or your father has naturally dark eye circles, there’s a high chance that you will be having them too as dark eye circles are also hereditary. Dark eye circles do not bring any type of harm in the body but it can be a very good downer for your self confidence. Here are a few treatments and preventive measures that you can do at home to prevent having dark eye circles. Make sure that you get enough rest. That means eight hours of sleep a day – otherwise you’ll wake up looking like a panda bear. Hydrate! Hydrate! Hydrate! There is no simpler way to prevent and get rid of dark eye circles than to keep count of your water intake. Make sure to drink at least eight glasses of water a day. Place a spoon in the fridge for at least 15 minutes. Cover your eyes using the frozen spoon until the spoon gets back to normal temperature. Boil some chamomile tea bags and let cool by rinsing with cold water. Hold it on your eyes for a good 20 minutes to reduce puffiness and lessen the dark shade. Use ice cold cucumber slices and place them on your eyes to reduce puffiness and tighten up the skin in the eye area. Who would survive a day without using deodorants? Probably no one unless of course you don’t sweat at all! People have their very own brands of deodorant that they have chosen after a crucial trial and error process that involves sweating and stinking in their armpits. This is probably the main reason why it is quite difficult to persuade people to give natural products a try when it comes to deodorants. However, I found out that the following natural products are now making their way to the top on the list of must try natural homemade deodorants. 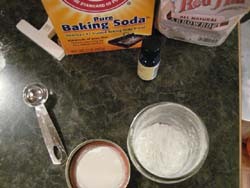 Simply mix 1/8 teaspoon of baking soda with little water and rub it onto your armpits. Baking soda will help prevent body odor without the use of chemicals. You may also mix baking soda and cornstarch (one part is to six) and place some on your armpits. Oh yes! This favorite natural remedy is once again included in this list! Simply slice some lemon wedges and swipe them on your armpits. You should be careful in doing this though as it may sting if you rub in too much and if you have just shaven, plucked or waxed your armpits. Simply melt 3 tablespoons of shea butter, 3 tablespoons of baking soda, 2 tablespoons of cornstarch and 2 tablespoons of cocoa butter. Turn off the heat and add in essential oil and oil from 2 capsules of vitamin E. Let sit in the fridge and use as necessary. One’s sleeping position greatly affects sleep quality. It can make you feel thoroughly rested or utterly unwell when you wake up in the morning. Here are two of the best sleeping positions which you can try to get definite restful sleep. I think sleep on your back is probably the most common and one of the best sleeping positions ever. Experts explains that it decreases the chances of waking up in the morning with the neck and back pains. They also said to help minimizing wrinkles and reducing acid reflux problem. It can be very beneficial to people who take good care of their skin because the face does not come in contact with pillows or other beddings. On the other hand, sleep on your side is very ideal most especially for pregnant women. Pregnant women have troubles trying to sleep on their backs as the tummy usually gets heavy (most especially in the later months of pregnancy). It is recommended that they sleep on their left side to increase blood flow. Sleeping on your side is also quite ideal for people who snore. Doing so will reduce the occurrence of snoring. Just as there are a good sleeping positions, this is also a not recommended sleep position. Most of the doctors and health experts agree that sleeping on your stomach is not ideal position. 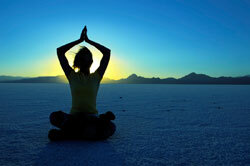 Doing so will lead to problems like nerve irritation, back pain and numbing and tingling sensations. Sleeping on your stomach also prompts you to turn your head to the side causing neck pain when you wake up in the morning.